The note of caution that has crept into e-commerce sales over the last few days should help settle some dust - these sites have been receiving flak from offline retailers who have alleged that their brands were sold on Flipkart on Monday at prices below cost. Instead of jumping in to frame new laws for e-commerce, the government needs to first examine whether any existing law was at all violated by Flipkart. 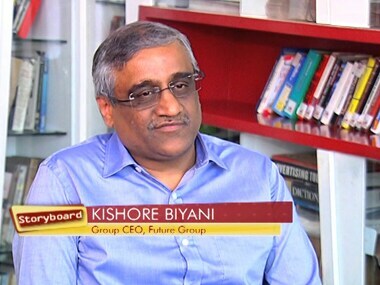 A bit rich: Why is discount king Kishore Biyani ranting against Flipkart sale? The offline retailers have managed to attract the attention of the government and now the government wants to look into the matter of discounts offered by ecommerce companies. In the last couple of months, Modi has visited Japan and the US and launched the Make in India campaign to lure foreign investments into manufacturing sector. Those who had bought consumer goods from Flipkart may also be in for a rude shock as these firms are considering whether they should give the warranty benefits to for the products sold on the site. There is no reason why retail bigwigs in India should not take a cue from Walmart. The Future Group chief also expressed concern that online retailers, flush with cash, may eventually look at buying into traditional brick and mortar companies. aving entered consumer goods business with a dedicated food park, the Kishore Biyani-led Future Group on Wednesday said it is looking to acquire a cold chain logistics company to help distribute its products.